Colombia obviously has a dark past, one that leads most people to immediately link it with cocaine, cartels, and violence. Pablo Escobar was the worst of the worst during the dark days of the 80s and early 90s in Colombia. Thankfully things have changed drastically for Colombia in the past 20 years, especially so within the last 10 years. 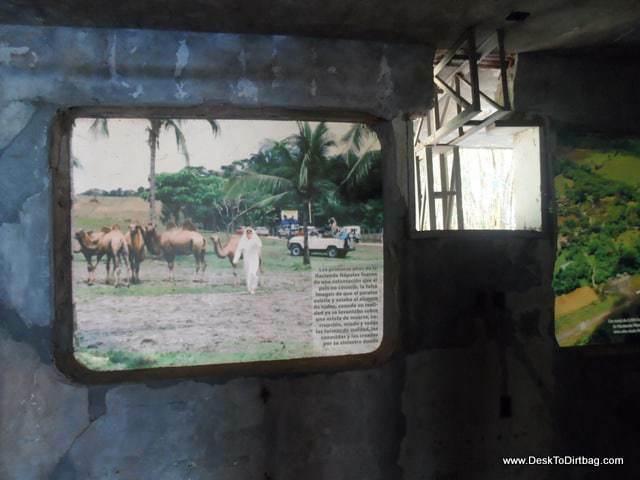 But there are pieces of this legacy that still lives on, none more obvious than Hacienda Napoles today and the cocaine hippos left behind from the Pablo Escobar zoo. One difficulty has been the properties and belongings of these former drug lords that wreaked havoc upon the country, who were responsible for the deaths of thousands, and the loss of entire generations of young people here. 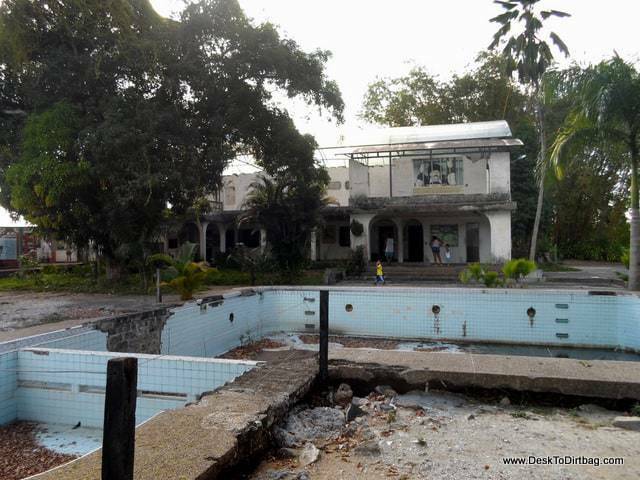 Most of Escobar’s old properties have been ransacked and destroyed by looters looking for hidden cash or valuables. The Colombian government has struggled with this issue but has decided not to restore the properties to their former state and not to glorify the worst criminal in the history of the country, it would be “morally impossible”. 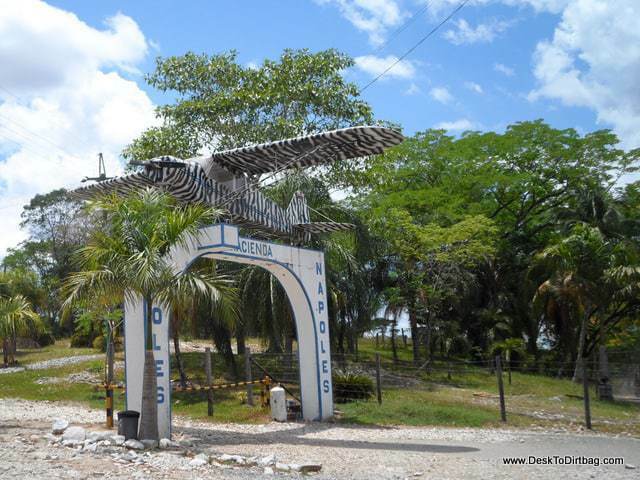 The entry to Hacienda Napoles and one of Pablo’s first drug smuggling planes. Hacienda Napoles today is a strange place for sure. 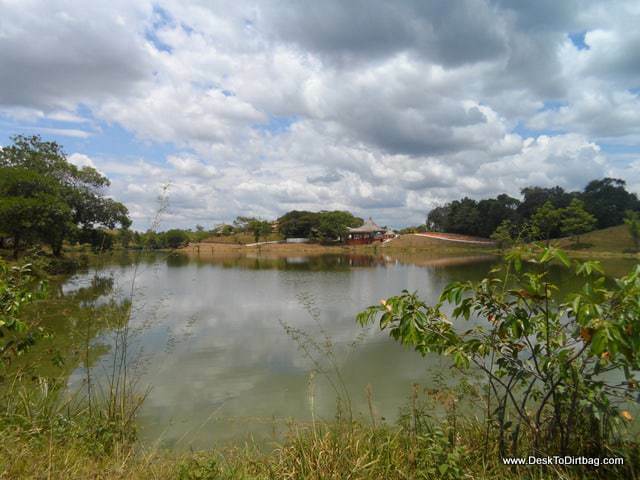 A gigantic property located another 25 minutes or so from the Rio Claro refuge, or about 4 hours from Medellin. Within Hacienda Napoles one can get a sense of the strange world that Pablo Escobar inhabited and his love of the absurd. 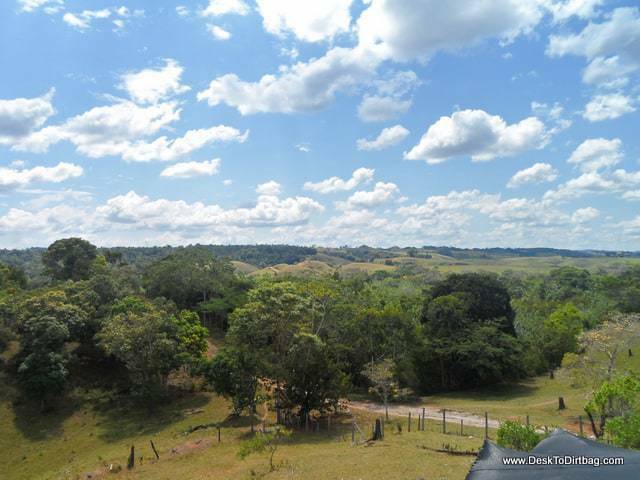 The view of the surrounding countryside from a lookout tower. 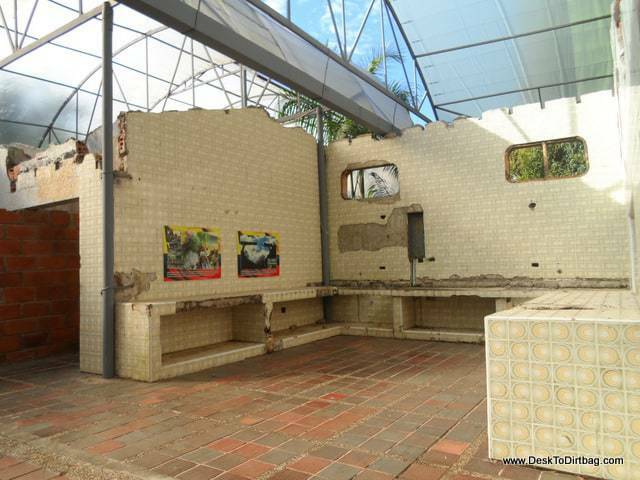 He basically turned Hacienda Napoles into his own personal Pablo Escobar zoo. 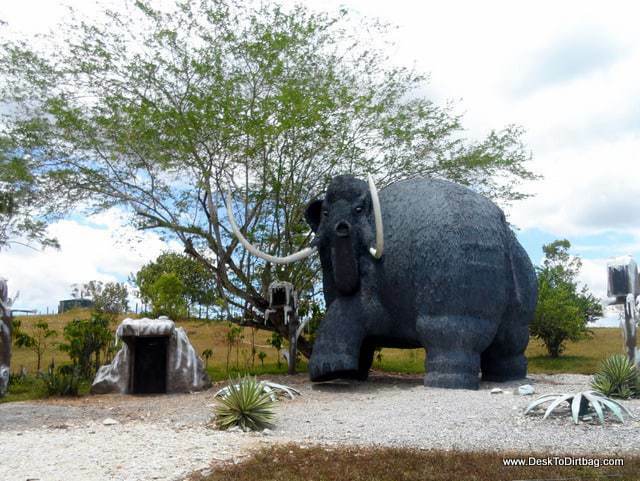 He had his own personal bullfighting ring, he collected dozens of exotic animals from Africa for his own little Noah’s Ark, and there are even giant dinosaur replicas scattered about. One of the strange plastic plastic dinosaurs that dot the landscape. 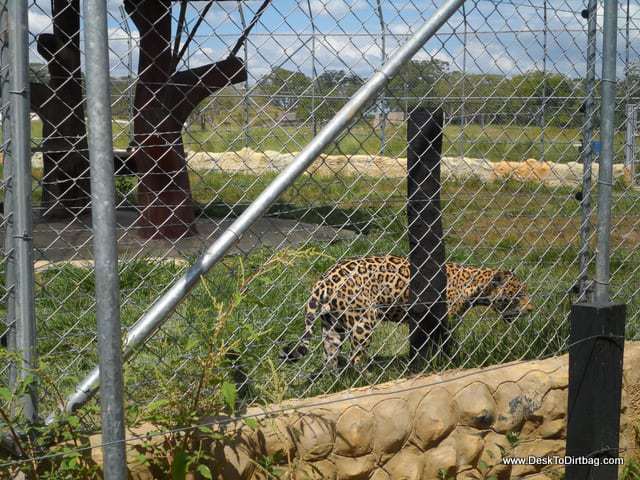 Most of the exotic animals either died or were donated to nearby zoos after the property was abandoned following his death. 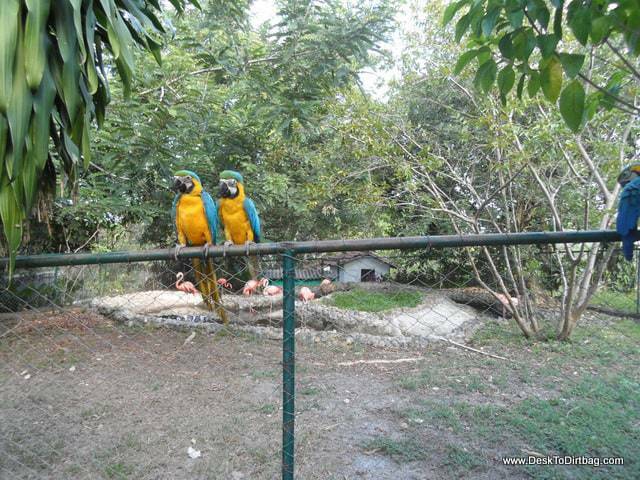 A few parrots hanging around the property for the free food. However, the so-called cocaine hippos of Pablo Escobar actually managed to survive, and even thrive, in the conditions here in Antioquia. 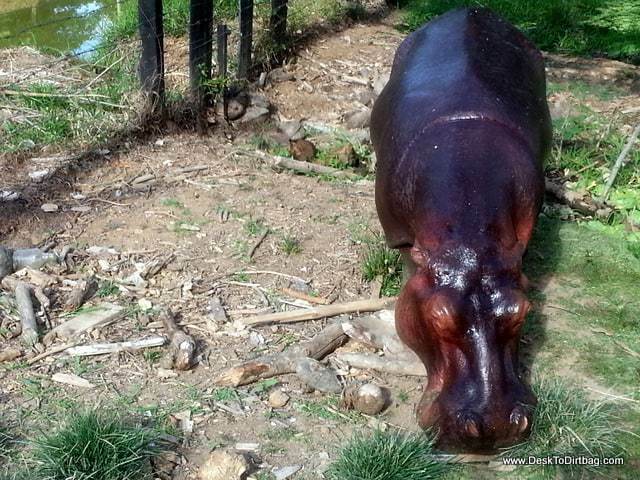 What were once just four hippos have since grown into a population of 60+. They live in the lakes around Hacienda Napoles–there are even signs in areas warning you not to get out of your vehicle if hippos are in the road–with reports of some evening breaking out of the herd and settling in nearby Rio Magdalena. One of the numerous lakes around the property. 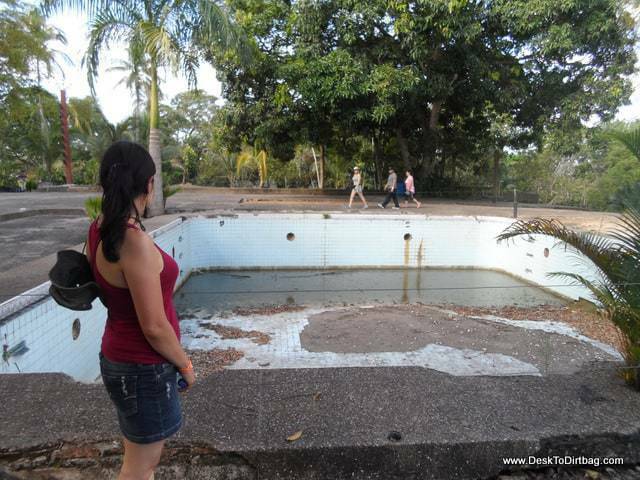 The property has since been converted into a sort of animal safari, water theme park, and depressing look into Colombia’s dark past. 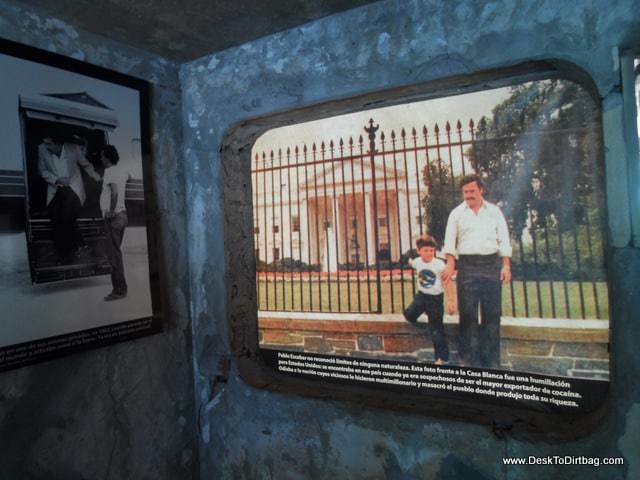 Though the actual house at Hacienda Napoles has been turned into a museum dedicated to the victims of Escobar’s violent war and the terror he unleashed upon the people here. An admittedly odd combination of sorts. You really need a car to explore the palatial estate and property–but you can hire a motochiva to drive you around for the day if you don’t have your own wheels. A mighty cool looking tree on the drive. They have since replenished the collection of exotic animals, mostly from Africa, from elephants to lions to rhinos, and much more. 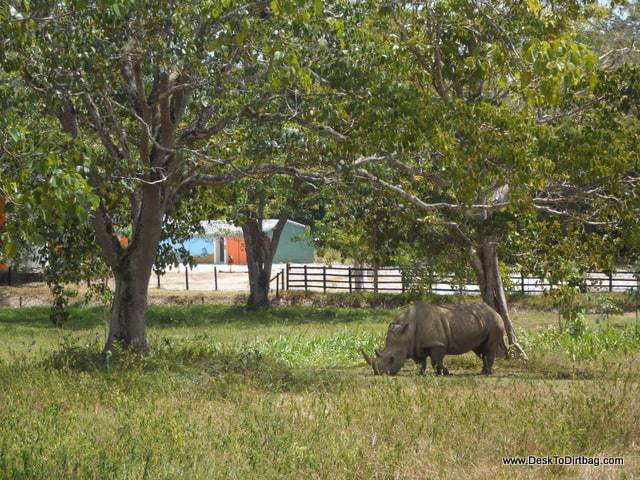 A rhino–it is like going on safari in Africa. 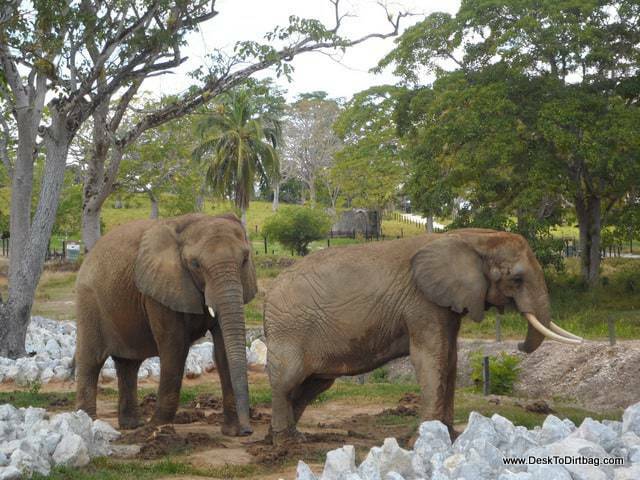 The elephants adjacent to the Museo Africano. But one of the many big cats. 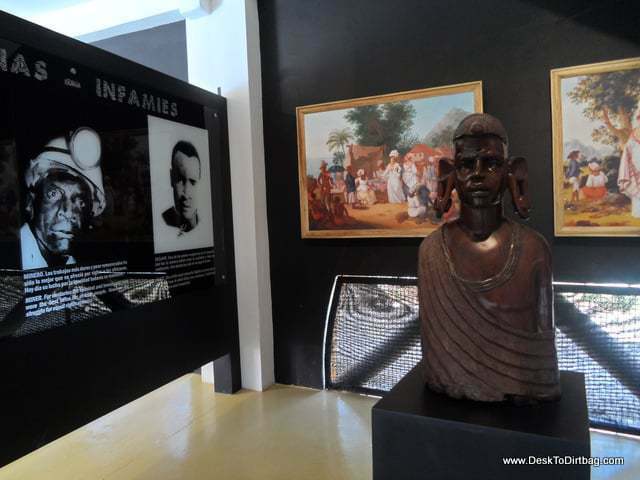 The former bullfighting ring has since been converted into the Museo Africano, which pays homage to the land, animals, and people that Pablo was so obsessed with recreating right here in Antioquia. The former bullfighting ring turned Museo Africano. 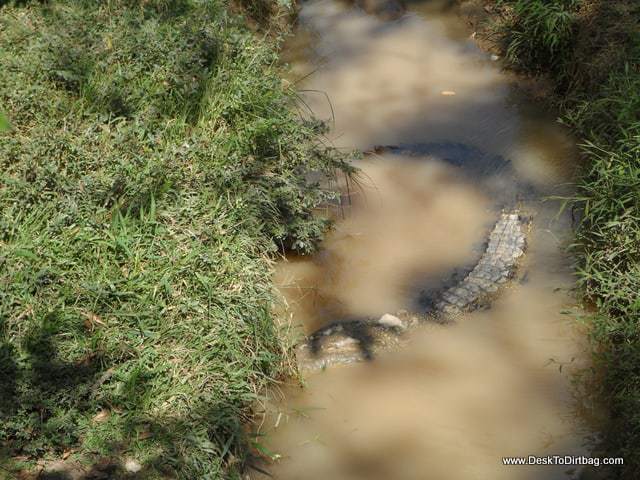 Beyond that the have crocodiles, a butterfly room, various snakes and pythons. It is really like visiting a zoo. 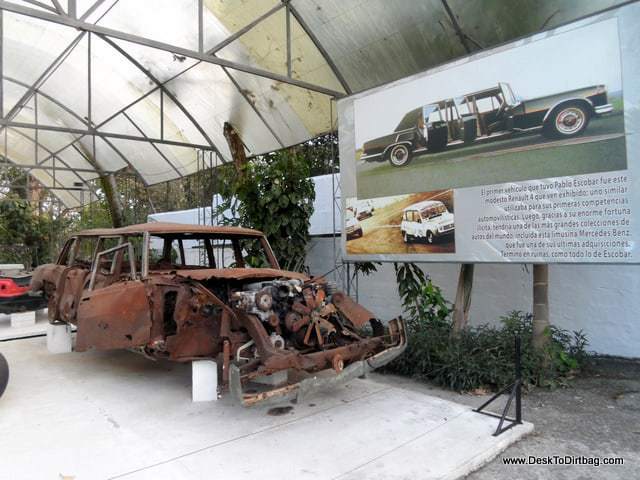 Toward the end of the driving loop, you come to the actual former residence of Pablo Escobar at Hacienda Napoles. A building that has been all but destroyed with the walls barely standing. 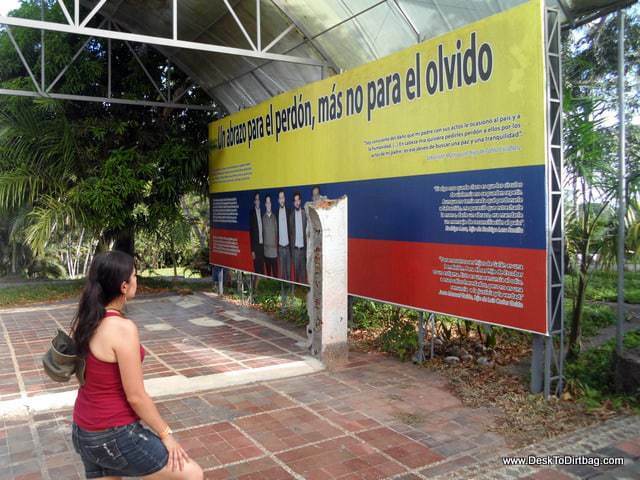 As mentioned earlier, the house has now been converted into a memorial to the victims of Pablo Escobar. The house is obviously in pretty bad shape. Looking back upon the remnants of the house. 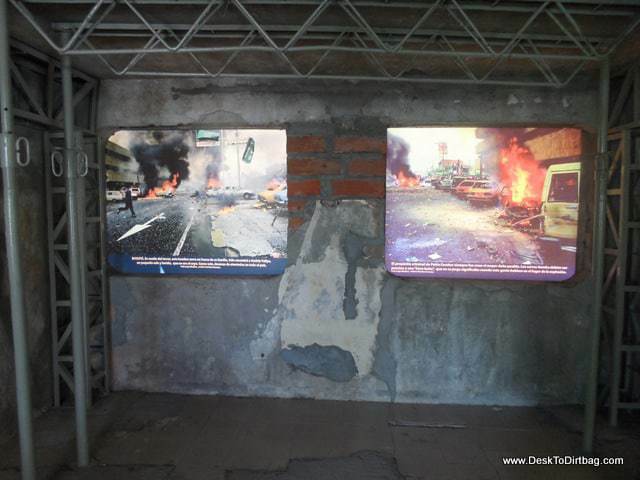 Venturing from room to room you learn about and see the images of the car bombs, the bombing of airplanes which killed hundreds just to assassinate one man on board, the targeted assassinations of presidential candidates, the storming and destruction of the Palace of Justice, the reporters and activists he had killed that spoke out against him, the bounty he placed upon the head of any cop killed by street assassins–one could go on and on and on. A few scenes of the waves of terror and destruction he brought upon the Colombians. Pablo did a lot of utterly terrible things, and yet perversely he is often venerated or idolized by some locals as well as foreigners, who love the outlaw, bad boy image, and yet perhaps don’t think about the 5,000+ people he played in direct role in killing, and then countless other indirect casualties. A big embarrassment for the US, Pablo posing in front of the White House. Pablo dressed as an Arab sheikh with camels at his property. As you make your way toward the end of the house it goes into more detail about how the police finally caught and killed this criminal mastermind–ending his wave of terror, although not ending everything–and then ends on a high note of how much Colombia and Medellin have evolved and progressed since the death of Pablo. Information about the apologies and reconciliations made by Escobar’s son. A foreigner would have been out of his mind to want to go to Colombia for vacation in the 80s and early-90s. Now, while still not as common, it is more often recognized as a nice, normal place. My mom even came down here for a week and a half–visiting Colombia is something I’m sure she never thought she’d do in her life. Helicopter located near Pablo’s old house. The destroyed remains of his once grand vehicle collection. It was a sobering and eye-opening look at this dark part of Colombia’s past. I particularly appreciated being able to visit it with a local Paisa (someone from Antioquia), Andrea, who offered up her own perspective and stories from family about this awful time. The former pool of a mad man. The airstrip and helicopter pad are nearby. 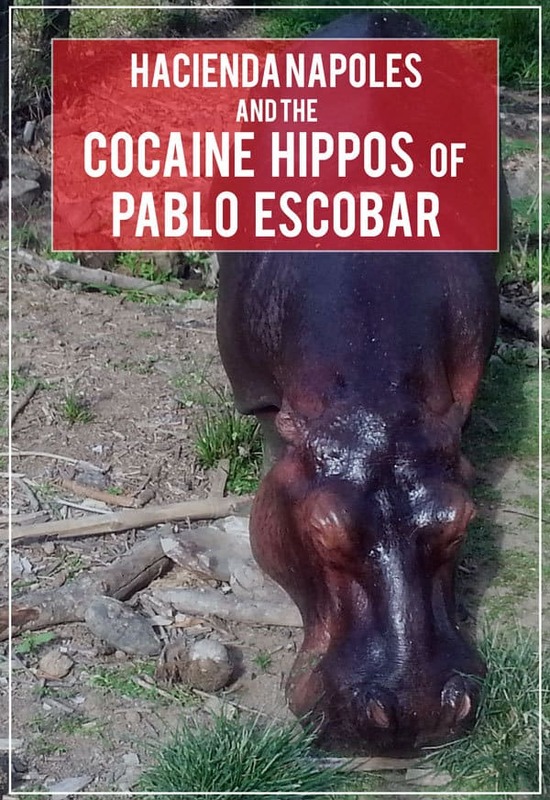 I’d wanted to visit Hacienda Napoles ever since I first heard about the so-called Cocaine Hippos of Pablo Escobar, the only herd of hippos living outside of Africa. Vanessa, the hippo raised by humans who responds to her name, apparently. 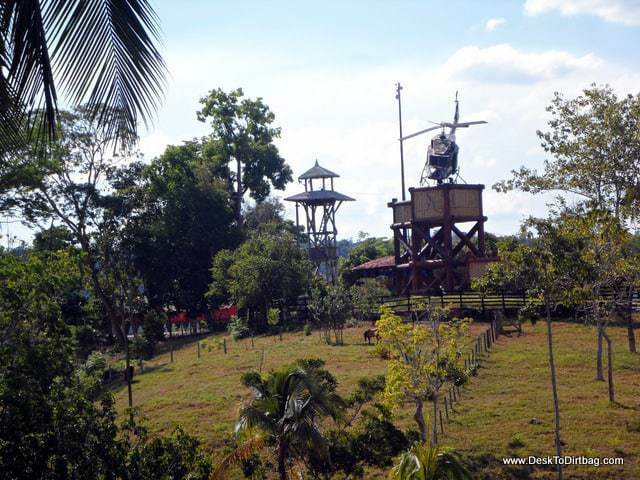 Hacienda Napoles is a strange and worthwhile visit if you find yourself in Antioquia. You will be entertained, confused, have fun, and feel depressed by the dark past of a such a beautiful place with kind people. 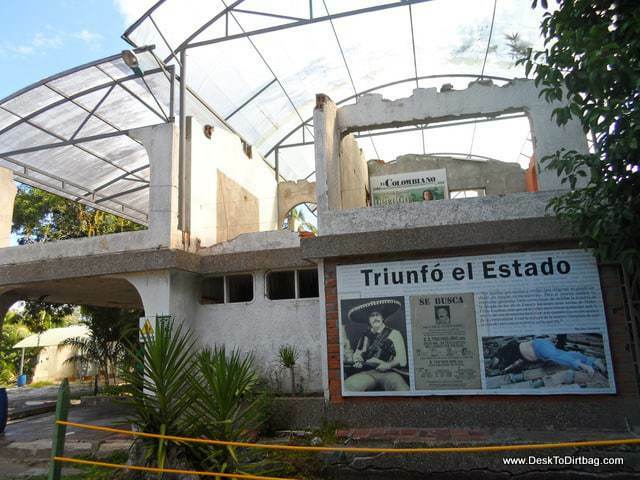 Pablo Escobar Tourism in Colombia has grown in popularity, but unlike the Medellin Pablo Escobar Tours, you don’t have to feel bad about visiting Hacienda Napoles in order to learn the true story behind Narcos. 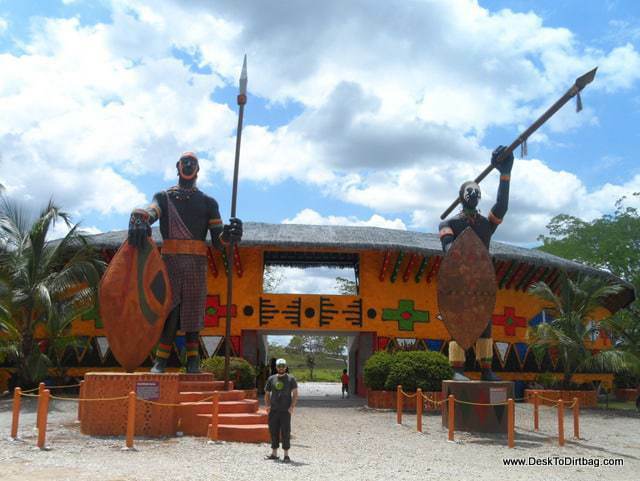 Hacienda Napoles entrance fee is 32.000 ($16) per person for admission to everything but the water park(s). 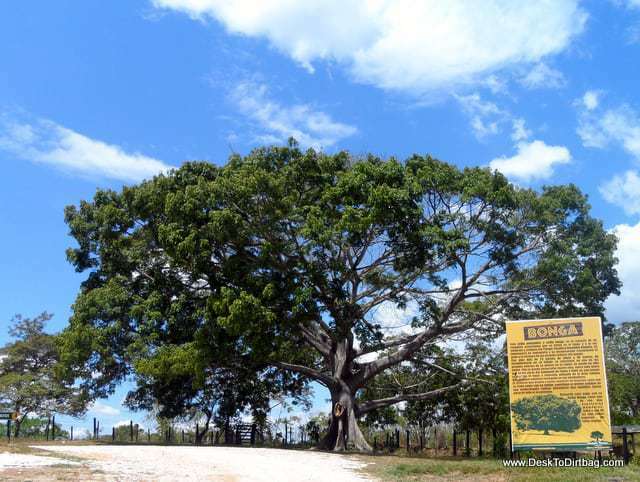 There are hotels on site, though I would recommend staying in Rio Claro, either camping or at the cabanas there. It can be tough to get to Hacienda Napoles if you are on your own, that’s why I’d just recommend booking a day trip from Medellin which will allow you to explore the park. Watch the documentary Sins of my Father, a story about Pablo’s son coming to terms with the carnage unleashed by his father. ESPN Documentary: The Two Escobars, recounting the stories of Pablo and of Andres Escobar, a Colombian soccer player who scored a goal against his own team in the World Cup and was subsequently murdered. 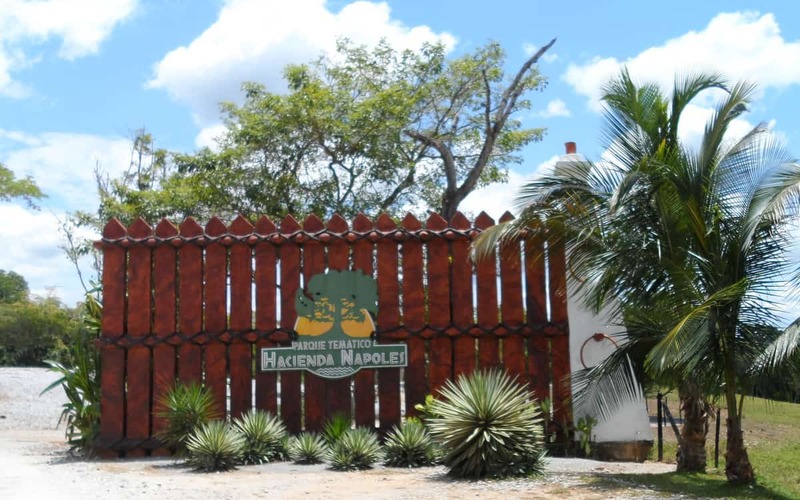 Enjoy this post about Hacienda Napoles today? Take a second to share it on Pinterest, Facebook, or Twitter.